M&M Direct are to sponsor the Merton Stand at Edgar Street. Their logos will be in place by next Saturday when the Bulls play Rotherham. "We agreed quite some time ago for M&M Direct to sponsor the Merton Stand," chairman Graham Turner told the OS. 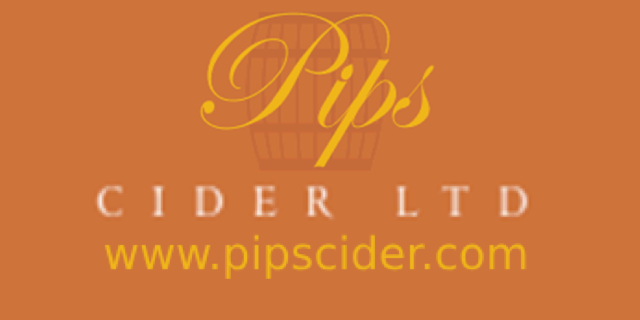 "We're delighted with the involvement of M&M Direct, we really appreciate it. Although they have changed owners a couple of times they have continued to support the club in fine style." M&M Direct is based in Leominster and has a turnover of around £100M. It is one of the UK's leading fashion and sports retailers. Former Hereford United winger Lionel Ainsworth faces an uncertain future. Sent out on loan from Huddersfield to Brentford, he reportedly didn't take kindly to be substituted last Saturday by Bees manager Andy Scott. Ainsworth played for the Bees reserves last Monday and claimed he was going to apologise to Scott for his poor reaction after being subbed. "He didn't tell me personally," said Ainsworth. "I got a call from my agent after the reserve game on Monday to say they didn't want me back, so I didn't have a chance to apologise in person. "I'm going to go back to Huddersfield now and get my head down. "I came to Brentford to play games, but I made just one start, and that was with three games left. "It's not enough, and I don't know why he didn't pick me." Hereford United chairman Graham Turner has confirmed that three groups are interested in his shareholdings in the Bulls. It is not known if these are the same groups as he mentioned a week ago. "They are very interested in it and further talks will take place over the next two weeks," said Turner. "There are three groups at the moment. "I hope somebody gets in place very quickly to sort things out." Striker Paul Benson is a doubt for tomorrow's game after breaking his nose last weekend. "Paul has broken his nose, but hopefully he can play with a mask on, as he's the type of player who will be there or thereabouts if there are any chances in the box. We will have to wait and see with Scott though as he has been suffering with headaches recently and might need to go for a scan." The Bulls, who set off for Essex this afternoon, are expected to name the same 18 man matchday squad as last week. There is no word on whether reserve stopper Chris Adamson will feature again this season, while Gavin McCallum appeared to have an ankle problem at the end of last week's win over Rochdale but there has been no news on injury problems from the club. Cheltenham striker Barry Hayles wants to play another season after passing his 38th birthday in the week. The veteran says he doesn't want to go out 'with a whimper' like his season has been at Whaddon Road. Bradford expect to confirm a new deal with manager Peter Taylor before tomorrow's match with Northampton, with Taylor saying his wife had to agree to the move first. Torquay have announced that they will release midfielder Tyrone Thompson in the summer, and have sent the player home to 'preserve his fitness'. Crewe have released striker Danny Gardner, who was picked up from non-league earlier in the season. He only made two sub appearances for the club. Peter Gulacsi has seen his emergency loan at Tranmere extended by a third seven day period. Oxford say they are just a handful of seats short of a sell out for Monday's play-off match with Rushden. Martyn Giles has agreed a deal with Welsh Premier side Llanelli for next season. Ben Smith has been offered a new contract at Crawley after talks yesterday. Shrewsbury have parted company with Paul Simpson after another successful attempt to remain a League Two side. The former Carlisle and Preston manager guided his side to a safe mid-table spot after winning just three of the last thirteen games to avoid the risk of a virtually certain play-off spot. He was at the club for just over two years, winning 39 of 112 games in charge, and signed a new contract just six months ago that will keep him in gardening implements for some time. Bulls News would like to thank Mr Simpson for his sterling work over the past two years. The Bulls take to the road for the final time this season with a trip to the Barking and Dagenham Stadium, or Victoria Road, on Saturday. It's been six years since 'that' game that saw keeper Tony Roberts desperate to avoid double figures. In the nine games since the Bulls have scored another nine goals in total, winning twice with the Daggers winning four times. Overall, the Bulls have won just five of the seventeen games between the sides since they first met nearly ten years ago. The Daggers have put out a plea to double their support with a faint grasp of a play off spot. They realistically need to win both their remaining games to stand a chance and will fancy their chances against the Bulls. Having lost Ben Strevens and Sam Saunders to Brentford in the summer, with 27 goals between them, they were considered to be short a forward or two. Summer arrivals from the lower reaches of non-league Danny Green and Josh Scott have 22 between them to ably replace the pair, with Paul Benson continuing to perform with 16 so far this term. The Bulls will go south with the usual 'nothing to fear'. All the pressure will be on the home side, although the Bulls players want four points from the final two games to reach their personal target of 60. It's a big ask against two of the play-off contenders but, having beaten both Bournemouth and Rochdale this term, and having earned draws against both the Daggers and Rotherham they are perfectly capable of earning more points. With the squad down to barebones due to departures the first XI is virtually picking itself, but the lack of competition for places doesn't seem to have affected performances with contract talks proving to be more than sufficient motivation for most. Dagenham & Redbridge vs Hereford United, Victoria Road, Saturday 1st May, 3.00pm. Turner's Last Away Game In Charge? Tomorrow's game at Dagenham is likely to be Graham Turner's last game as manager of Hereford United on away soil as he has said he will not be on the touchline next season whatever happens off the pitch at Edgar Street. No fresh information about any potential purchases of Turner's shares has emerged so far this week. The Hereford Times, which had the story all over its front page last week, doesn't even mention the possible sale this week. Turner is expected to give a couple of interviews this morning so no doubt the subject may be raised. Meanwhile tomorrow's game gives supporters living around London the chance to watch Turner's last away game. In any case they may be in the majority at the game since there appears to be little interest in the game from Herefordshire based fans. HUISA will only have a small coach going to the game. York beat Luton 1-0 in their home leg of the Conference play-offs. A Richard Brodie goal in the 90th minute gives the Minstermen the lead in their bid to end their six year Conference stay with over 6,000 at Bootham Crescent. In the other game Rushden drew 1-1 with Oxford after the U's took the lead through James Constable. Mark Byrne equalised in front of 4,535 at Nene Park. The second legs are on Monday. Hereford United aren't fancied by the bookies to defeat Dagenham and Redbridge on Saturday despite their recent run of good results. The Bulls have won six of their last eight League Two matches including away wins at Chesterfield, Darlington and Accrington Stanley. So John Still's men have everything to play for and will probably have to win the game to stay in contention. The Football League has failed to agree a new deal with the Premier League over funding. In essence League Two clubs such as Hereford United stood to gain about £250,000 extra money from the Premier League. This is available as a result of recent TV deals. However Football League chairmen have voted not to accept the deal at a meeting earlier today. It appears the chairmen are unhappy with some of the proposals. Football League chairman Greg Clarke is expected to have further talks with Richard Scudamore of the Premier League in an attempt to broker a settlement. Lincoln have put admission prices up £1 for next season. The Imps are also said to have agreed a deal to take current loanee striker Steven Lennon on a permanent deal next season, but are to release winger Michael Gordon from his contract. Southend have made the strange announcement that Wycombe have taken over striker Alex Revell's contract until June 30th. The player has been on loan at Wycombe since January, but cannot play for them again due to his loan expiring. Grimsby have sold over 6,000 tickets for their relegation clash with Barnet on Saturday. They expect the game to be a virtual sell out. Darlington have released five players that were due out of contract in the summer. Richie Byrne, Stuart Giddings, Mor Diop, Rikki Baines and Dan Riley have all been released with boss Simon Davey opting to blood a string of teenagers in his final games as a League boss. Cheltenham winger Josh Low may quit full time football in the summer after being offered a job with a solicitors. He has been training in Law for some time and will make a decision in the summer. Accrington fans dressed as stewards in support of assistant boss Jimmy Bell last night after his tussle with the flourescent marshals from Crewe at the weekend. They proceeded to do a conga around the terrace. Wrexham have released 11 players after their latest dismal season. Dean Saunders has already signed 50 players in his 18 months as boss, and will sign Histon midfielder Nat Knight-Percival in the summer. In Ex-Bull News Nicky Law's Alfreton have a 1-0 lead in their Conf North play-off after winning at Workington last night. In the other game, Droylsden beat Fleetwood, who finished 21 points above them, 2-0. Glen Southam's brief spell at Histon has ended early after he agreed to tear up the remainder of his 18 month contract. He told the press the club is still financially unstable, and he agreed to leave to help them. Martyn Giles has left Newport after their promotion to the Conference. The injury hit full back is expected to return to the League of Wales. Glyn Thompson has been offered a new deal by the club. Speaking to the Barking & Dagenham Post in the lead-up to Saturdays match at Victoria Road, Daggers Boss, John Still, admitted that The Bulls will be stiff opposition as the home side strive for a place in the League 2 play-offs. "They've changed it a bit recently, but I like the boy (Marc) Pugh, he's a decent player," said Still. Still also issued a rallying call to Daggers supporters calling for a gate approaching 4000. "I always say that we've got 1,800 Dagenham supporters, and if they all brought a mate with them, then that's what I'm hoping for.”"I'm pleased our supporters have something to aim for in the last home game, and I'm pretty sure that two wins will be enough." "If we're going to get into the play-offs it's going to be tough though, and I wouldn't have it any other way." Barnet are reported to have sacked boss Ian Hendon after they failed to secure their League status last night. Although the club have not made an official announcement, several news sources are stating that they have dispensed with Hendon's services after last night's 1-0 loss to Accrington, their fifth straight loss. They have picked up just 21 points from the last 30 games after being in the play-off spots in October. They have two games of the season remaining with a potentially season defining trip to Grimsby on Saturday before they entertain Rochdale on the final day. If they fail to claim at least a draw at Blundell Park they will need to win their final day match against the side second in the League to confirm their Football League place for next season. Update: The Barnet OS has confirmed the sacking and goes on to say that Paul Fairclough will take charge until at least the end of the season. The club have also parted company with 'consultant' Peter Shreeves, while Fairclough and chairman Tony Kleanthous will meet supporters tomorrow night. Update 2: Barnet have also disposed of first team coach, and reserve keeper, Lee Harrison and physio Mark Stein with Fairclough wanting a 'fresh start' for the final two games of the season. Graham Horwood is set to referee Hereford United's last away match of the season which is at Dagenham on Saturday. The Bulls have already met Horwood twice this season. Firstly he was in charge of the home game against Shrewsbury in November which the Bulls won 2-1. He booked both Darren Jones and Ryan Valentine that evening. Secondly he refereed the game at Port Vale where the Bulls lost 2-0. On a very cold but bright late January afternoon he sent off Ryan Valentine after giving him a second yellow card and also booked Sam Gwynne. So far this season Horwood has been in charge of 28 matches and has given out 86 yellow and 4 red cards. Ex-Bull Karl Broadhurst is one of three Crawley Town players to be released after their first round of contract talks. He made 33 appearances and was sent off twice during his season with the club. Fellow ex-Bull Ben Smith is awaiting talks with manager Steve Evans. Darlington have announced that they will sign former loanee Jamie Chandler from Sunderland in the summer, and take on German full back Dominik Werling at the same time. Werling played for boss Simon Davey at Barnsley. Notts County have agreed to cancel Kasper Schmeichel's contract on May 11th, after the season ends. The club say it is down to the risk of hoping for a fee while still paying him, but others suggest they have negotiated this route after their promotion triggered a £250,000 payment in his contract. Bradford fans have named striker James Hanson as their Player of the Year. He scored 12 times in 34 League games this season, his first in League football. Dagenham have signed winger Danny Green on a three year deal. No, not that Danny Green - the other one. They already have one winger called Danny Green signed from Bishops Stortford last summer, but have now added his namesake from Carshalton. Grimsby are trialling Bradford midfielder Luke Sharry after he was told he had no future at Valley Parade. Kidderminster have signed a new two year shirt sponsorship deal with a local computer firm. Woking have taken a 2-1 lead over Dover in the first leg of their Conf South play-off in front of 3,080 at Kingfield. In the other semi-final 1,425 watched Bath beat Chelmsford 2-0. Shrewsbury boss Paul Simpson has vowed to remain in charge at the club despite rumours that he had been sacked earlier in the week. Hereford United have dropped one place to 16th in the League Two table after this evening's results. Accrington, who defeated Barnet 1-0, move above the Bulls. Just 1269 watched the match. Leaders Notts County, who won 5-0 at Darlington, have secured the League Two title. HUISA – Coach departs The Street at 9.00 am with a fare fixed at £18 (members £17). Seats are understood to be still available and can be reserved through the Club office (08442 761939). BY CAR - From Hereford, my advice is to go via Gloucester then straight on at the top of Birdlip towards Oxford using the A40. Then take the M40 (sign London) before joining the clockwise M25 (sign Watford). Continue on the M25 around north London towards the Dartford Tunnel. Leave the M25 at Junction 27 and take the M11 towards London. At the end of the M11 continue onto the A406 towards Docklands (A13) and London City Airport. At the intersection with the A13, turn onto this road towards Dagenham/Dartford Tunnel. As you near Dagenham, you will see a cinema complex on your left. At this point you leave the A13 and join the A1306 towards Dagenham. At the third set of traffic lights turn left at the McDonalds into Ballards Road. At the end of this road you will come to a large roundabout, (known as the Bull roundabout, after the public house of the same name) at which you turn left, into Rainham Road. Proceed up Rainham Road passing Dagenham East tube station on the left and Victoria Road is a quarter of a mile further on, on the same side of the road. There is a fair sized car park at the ground, which is free, but is normally full 45 minutes ahead of kick off. Otherwise street parking. Distance is just short of 175 miles and you should allow at least four hours. POSTCODE RM10 7XL. ALEHOUSES – The social club at the ground generally allows entry to visitors for a small fee. Otherwise, there are three Pubs within walking distance of the ground with The Eastbrook being the closest. It can be found by walking down the hill towards Golds Gym. Next is The Railway which is down the road beside the station. A ten-minute walk away is the Bull, which is down Rainham Road (going past the Jet Garage), by a large roundabout. There are two League Two games tonight, with the championship at stake. Barnet travel to Accrington looking for a win to escape relegation. If that result happens, Grimsby will only be able to catch Cheltenham on goal difference. In the other match Notts County travel to Darlington, and a win would hand the Magpies the League Two championship. Some Ex-Bulls are also in action in the Conf South play-offs. Nicky Nicolau's Woking face Jon Wallis' Dover in the first leg of their play-off. Meanwhile Rotherham have put an additional 375 tickets on sale this morning for their trip to Edgar Street on May 8th. They sold out the original 600 ticket allocation for the Cargill Stand eight days ago, and are expected to be housed in the Merton Stand D block although this is yet to be confirmed. Striker Lee Morris has left Edgar Street early, the club have announced today. The former Derby and Sheff Utd striker failed to score a senior goal in seven starts and seven sub appearances for the Bulls, but managed three goals in the Conference in three starts and eleven sub appearances for Forest Green and Mansfield. His contract was due to expire at the end of June but he has agreed an early departure. He admitted in November, when he departed on loan for Mansfield, that a disagreement with then boss John Trewick had virtually finished his Bulls career but he came back to make a handful of appearances before departing for Gloucestershire. Morris' departure means the Bulls remain with just 20 players for the final two games of the season. One of those, reserve stopper Chris Adamson, remains sidelined with injuries suffered in his recent car crash. Port Vale have told four more players that their contracts will not be renewed in the summer, taking the total released up to eight. Danny Edwards, Dave Howland, Simon Richman and James Lawrie have been told their futures lie elsewhere. Lincoln's hopes of signing striker Davide Somma in the summer have been dashed after Leeds took up an option on a new contract with the player. Somma has almost single-handedly kept them up with eight goals in 12 games. Darren Dennehy has finished his three month loan spell at Gillingham with a ringing endorsement from manager Mark Stimson: "He has been outstanding for us". Dennehy played 19 times, displacing fellow ex-Bull Josh Gowling from the team. Forest Green are expecting to go part time after relegation from the Conference unless they receive an additional financial injection. Southend chairman Ron Martin has confirmed they will cut their wage bill for next season in League Two. However he confidently predicts that the club will bounce back quickly, responding to questions about their new stadium and the size of the opponents in League Two: "We won't be in same league as Morecambe by the time the stadium is finished." AFC Wimbledon have released 12 players after they narrowly missed the Conference play-offs. Former Bulls loanee Danny Blanchett has returned to Peterboro with no word on his future after 11 games for the club. Cheltenham have announced that they have frozen admission prices for next season. £425 was raised at Edgar Street on Saturday by the bucket collection in aid of Dave Taylor. Dave's family have asked us to pass on a massive thank you to everyone who donated. His family and friends have a number of other fundraising events forthcoming, details of which can be seen here. Cambridge have confirmed ex-Bull Mark Beesley as one of nine to be released after the club finished a disappointing tenth in the Conference this season. He scored once in six games at Telford where he finished the season on loan, and scored four times in the Conference for Cambridge and Chester. Aldershot have lost midfielder Ollie Bozanic for the rest of the season after the Reading youngster opted to return to his parent club rather than extend the loan. Macclesfield boss Gary Simpson says his budget will remain the same for next season. Their gates for this season have risen 0.16%. Accrington have secured a shirt sponsor for next season after agreeing a new five figure deal with their current sponsors. They hope to find a new ground sponsor over the summer. Stockport remain struggling for cash, with the microwave at the training ground their latest casualty. Goalkeeper coach Paul Gerrard had to buy a replacement from his own pocket due to the club's dire straits. Oldham have warned their players that paycuts will be the order of the day after a poor season financially. Gates fell by more than 1,000 with Chief Exec Alan Hardy telling the BBC the season was 'really bad financially'. Lionel Ainsworth says he will apologise to Brentford boss Andy Scott tomorrow. He played 90 minutes for their reserves, setting up two as they thrashed Gillingham, and admitted his fitness had not been as good as it should have been. Another ex-Bull playing in that game, James Walker, could be in trouble of his own after he was dropped from the starting line-up for the Gills after turning up late. Walker, on loan from Southend, has managed only two sub appearances in the last two months after impressing with the Bulls earlier in the season. Five Ex-Bulls have been named in this weeks Teams of the Week. John Eustace (Watford) and Gary Hooper (Scunthorpe) are in the Championship side, Charlton's Darren Randolph is in the League One XI, and Dean Beckwith (Northampton) and Kris Taylor (Port Vale) are in the League Two side. This week's League Two side came from ten different teams, with Crewe the only side to feature two players. Another ex-Bull in the news is Jimmy Quinn, who has confirmed that he has applied for the vacant managerial post at Telford. The Bucks sacked manager Rob Smith last week after the club finished in a disappointing mid-table place in Conf North. In the same division Jimmy Harvey's Stalybridge finished ninth, while Nicky Law's Alfreton will contest the play-offs after finishing third. Rochdale boss Keith Hill accused the linesman who gave the penalty against his side of having an agenda against the whole football club. Speaking to the Manchester Evening News, Hill said: "It's been a disappointing day and I'm angry. The lads have got to realise they are playing for their futures but today had an end-of season feel to it. We should be winning football matches or at least looking like we're going to win. "It was probably a penalty but the linesman appeared to have an agenda and it was an agenda against Rochdale Football Club. Sometimes referees and linesman have to admit to making mistakes but there was a touch of arrogance in the way they officiated. When they look back on the game, they might realise they got a lot of the decisions wrong. "It's just a good job that it has not cost us promotion or was in a must-win game. With not a lot at stake, whoever appointed these officials must have thought they would appoint somebody to have an easy day out down at Hereford." Hill's comments that it was 'probably a penalty' and subsequent rant at the linesman is in stark contrast to Rochdale's one-sided official site report that claimed 'the referee seemed to be the only person in the stadium to spot something'. So what is due diligence? Due diligence is used to investigate and evaluate a business opportunity. The term due diligence describes a general duty to exercise care in any transaction. As such, it spans investigation into all relevant aspects of the past, present, and predictable future of the business of a target company. Due diligence sounds impressive but ultimately it translates into basic commonsense success factors such as "thinking things through" and "doing your homework". Usually due diligence is carried out by specialists. Some business brokers offer this service as do accountants and some consultants. However some buyers do their own due diligence especially when they think the business is straight forward or perhaps to save some cash. - Is there a clear description of the product or service? - Does the product meet the needs of the target customers? - Is there an expanding (or at least stable) market for the product? - Who are the main competitors and how do they compare on quality/price/service? - Are trading laws and regulatory requirements being met? - Any recent bad publicity or adverse comments? - Any issue with continuing relationships with suppliers or difficulty in getting raw materials, services, licenses or premises? - Any large increases in rent, labour or other costs on the horizon? - Is there any other large impending cost e.g. obsolete machinery or other capital requirement? - Is there over reliance on a particular employee, supplier or customer? - Is there an unambiguous and complete explanation of the revenue streams? - How good are the cash flows? - How accurate is the valuation of their assets? - Are there any hidden liabilities? - Are there any irregularities in the financial statements? - What is the company's history with financial compliance? - What have the auditors said about the company figures over the last few years? - Have authorities conducted any tax related investigations into the company's finances? - How reliable are the financial projections? - Have terms and duration of the overdraft and other credit facilities been disclosed and is there any risk to those facilities continuing? - What do background checks on the owners of the company reveal? - Are staffing levels adequate? - Are key employees staying? - Does the firm's insurance include cover for key personnel? - Is management/board of directors capable and experienced? - Are any existing or ex-staff under any non-compete contracts? - Have all profit sharing, deferred compensation and non cash earnings been disclosed? - How easy is it to replace staff and/or find suitable people with the right skills? - Do the employment contracts comply with existing legislation? - Do proper record exist for all aspects of the HR function? - Is the company up to date with all employee related taxes? - Have you sight of all documents relating to loans, consulting etc.with officers, directors and related parties? - Have all articles of incorporation, tax registration certificates, board meeting minutes, shareholding records etc been provided? - Are there any pending legal cases or threats of action (and has potential damage been quantified)? - Is there a history of past cases (do settlement documents exist)? - Has all litigation related material been made available for inspection? - Is there satisfactory evidence of ownership of Intellectual Property? - Have copies of mortgage deeds, titles, leases etc. been provided? - Are the accounts, regulatory filings and tax payments all up to date? The above questions could relate to any business and for a football club there may be even more questions as Coventry Academic Dr John Beech recently mentioned. •Has your largest shareholder ever been to see the club play? •Can your largest shareholder locate your club within 50 miles on a blank map? •Are you up to date with all your tax payments? •Have you paid all your football creditors? •Can you produce a written guarantee that your ‘soft’ debts will not be called in within the next five years? •Is your wages-to-revenues ratio less than 60%? •Do you have a fans’ representative on your board? •Do you have a Plan B for when it all goes pear-shaped on the pitch? Birmingham City was recently sold by David Sullivan and David Gold to Carson Yeung. It appears Yeung didn't use the due diligence process and then complained about financial problems. He was said to be surprised at the money that had had to be paid on transfer and agents fees, bonuses, taxes and other bills. Sullivan noted "He merely asked us about ten questions and failed to bring in accountants or auditors. It’s a bit like me buying a house and failing to conduct a survey and then moaning when the damn thing collapses". The PFA Teams of the Year, as voted by the players, have been released. Schmeichel (Notts Co), Brayford (Crewe), Kennedy (Rochdale), Craig Dawson (Rochdale), Sharps (Rotherham), Davies (Notts Co), Stephen Dawson (Bury), Jones (Rochdale), Law (Rotherham), Hughes (Notts Co), Le Fondre (Rotherham). Accrington Stanley's assistant manager Jimmy Bell was reported to have been wrestled to the ground by Crewe stewards at the end of yesterday's game as he walked across the pitch to commiserate with supporters. Crewe won the game 5-1. "I was publicly humiliated," Bell told the Lancashire Telegraph. "I’ve no idea why it happened. The fans had been fantastic and I went over to the ref at the end of the game, shook his hand, then took four or five strides towards the away fans. "John Coleman was 30 yards or so ahead of me, but I was confronted by a steward who said I couldn’t go over. "I told him that I was and he started shouting for assistance. The next thing I knew five men were jumping on me and I was manhandled to the floor. "It was absurd. All I wanted to do was applaud the fans who were absolutely magnificent in their fancy dress and doing the conga. "Instead I had Fred Flintstone, Batman and Robin jumping out of the crowd to help me. Rob Heys (Stanley’s chief executive) ran out of the stands when he saw what was going on." The FA will await the referee's report on the matter before commenting. Last Saturday week Accrington manager John Coleman complained at the behaviour of a few Hereford United supporters after the Bulls won 2-1. In some ex-Bull news missed yesterday, Craig Samson and Ryan Esson were at opposite ends when Inverness travelled to Ayr. Esson had the slightly better day as his Inverness side won 7-0. Another ex-Bull in the news today is Jennison Myrie-Williams, who was sent off for Dundee Utd as they lost to Celtic. He lasted just 12 minutes after coming on as a sub, getting booked twice. Forest Green and Grays have been cleared by the Gambling Commission after a year long investigation into Grays' 2-1 win at the back end of last season. Ironically, the pair met again on Saturday with the same scoreline. Morecambe have announced matchday prices for next season. They range from £13 to £22 for Adult tickets in their new stadium, a rise of at least £1 on this season. They are also offering lifetime season tickets for as little as £2,000. "We are still in the process of sorting things out," said Turner. "We are still very much dependent on that before the transfer of shares to me will go ahead. "It's been a nerve-racking time." Keith Downing was the coach at Edgar Street at the time. "The club's financial problems have been well documented and we've gone through spells where we've not been paid for six or eight weeks. It's been a day-to-day situation," said Downing. Stan Tippins, perhaps Hereford's best known fan at the time, was doing his best to find money for the Bulls. He managed to obtain donations from Deborah Harry and Simple Minds members Jim Kerr and Charlie Burchill. Matters came to head during the last week of the month. "The future of the club is very much under threat," said Turner. "We know we will see the season out which was the priority but what happens after that is still up in the air. "We've still got bills to pay as well as sorting out the Creditors Voluntary Agreement. "Hereford United in its current set-up is either days away from survival or from going under. I think it will be determined on Monday." Turner had agreed to purchase chairman Peter Hill's shares but was waiting on director Robin Fry. And then on April 24th came the news that Fry and Turners solicitors were nearing agreement. "I'm a bit more optimistic about the situation now," said Turner. "It's been quite a traumatic time for everyone at the club. "With the way things were going, I was starting to get cold feet. But I've got to continue if the club is to survive. "As I understand it at the moment Robin Fry has to conclude his own business agreement with Chelverton before the agreement between myself and Robin over the purchase shares goes forward." A few more anxious days for the Bulls but at last the money from Bristol Street arrived. "I have been informed by our club solicitor that there will be sufficient funds released to satisfy the company's voluntary agreement and cover our immediate requirements," said chairman Peter Hill. Turner appeared relieved that matters were being sorted but he also realised that money would remain very tight. "We've got a future at the moment," he said. "The budget we will have is going to be very tight, there's no doubt about that, but sometimes you have to speculate. "If we have got the squad to push into the top three or four, we will get the attendances and that will bring the money into the club. So the aim has got to be to get us into that position to challenge for a place in the Third Division." And on May 6th at a fans forum Turner revealed that within 14 days he would become the largest shareholder in Hereford United. Brentford boss Andy Scott says ex-Bull Lionel Ainsworth will not play for his side again. The nippy winger is said to have snubbed Scott after being subbed in today's draw with Yeovil, prompting Scott to tell the press: "Lionel showed a disrespect to his team mates, to me and to the club. Even if we only have 12 players next week, he will not play for this club again. He needs to work on his fitness and will be playing for the reserves on Monday." His start against Yeovil was his first for the club after eight sub appearances since joining the Bees in January but he was hauled off after an hour in favour of teenage defender Ryan Blake, who was making his Football League debut. Brentford were only able to name five subs due to various injuries, with three of them untested teenagers. On a sunny afternoon at Edgar Street, the Bulls welcomed a Rochdale side already assured of a long awaited promotion, but rather jaded after their defeat at Notts County. For their part, the home side had little to play for, and a predictably tepid first half had a distinct end of term feel to it. After the interval, a much more eventful passage of play saw Hereford deservedly defeat their opponents, and climb to 15th position in the table, the loftiest of the entire season except for a 4 day period in early December. Graham Turner, sporting a dapper business suit as he took charge for almost the last time, welcomed back the talismanic Ryan Green, with Keith Lowe making way in an otherwise unchanged team. Rochdale were first to threaten with Gary Jones probing from midfield and releasing Andy Howarth who shot well over. Chris Dagnall looked lively up front for the Dale, and Jason Kennedy should have hit the target when well placed. Craig King played a lovely through ball to Mathieu Manset, but the Frenchman was en retard with his effort, and the shot was blocked. Darren Jones looked assured at the heart of the Bulls defence, and, in a light hearted moment, showed the yellow card to referee Mr Webb who had dropped it. Adam Bartlett made a fine diving save from Dagnall, who connected with a clever pass from Chris O’Grady, and the keeper was again on hand to deny Howarth at the end of a quick-fire passing movement involving Dagnall, O’Grady and Temitope Obadeyi. Manset found the overlapping Green, but the shot went across goal. Green then reverted to defensive duties and put in an expert blocking tackle to cut out a Howarth centre. With neither side able to conjure up the telling final ball, the game drifted towards a welcome break. James McQuilkin overhit a pass which would have unleashed the Beast, and a Tom Kennedy free kick, rather harshly awarded just outside the box, did not trouble Bartlett. There had been little to suggest the entertainment on offer after the half-time oranges had been sucked. Manset chased a pass from Gavin McCallum and did well to reach it, though he could not stop it from going for a throw. The striker then showed his moves with some Ronaldoesque stepovers, and McCallum’s wayward shot was not a fitting conclusion to the move. At the other end, Dagnall shot straight at Bartlett and Howarth’s effort on goal was high and wide. Obadeyi, one of few professional sportsmen mentioned in a Beatles song (well, almost) went on a mazy run and evaded a desperate lunge by Valentine before losing his footing. Then, as the end to end play continued, the match had its first goal with the clock showing 52 minutes. An enterprising Bulls move down the right that involved McQuilkin and Manset saw an angled shot from McCallum beat the onrushing Frank Fielding in the Dale goal. As the ball trundled goalwards, a covering defender was prevented from clearing by the bustling Craig King, who forced it home. Marc Pugh was proving a handful as Hereford tried to press home their advantage. Beating two opponents, he passed to McQuilkin, who appeared to be marginally offside. However, no flag was forthcoming, but a moment’s hesitation by the midfielder was sufficient for Fielding to live up to his name. Manset and Green, ever more an attacking option at this stage of the game, cleverly set Kenny Lunt free. Lunt’s cheeky turn inside was topped off with a curling shot that was deflected for a corner. Pugh’s flag kick to the far post caused concern to the defence, but Ryan Valentine was heading away from goal when he was clearly tugged back. The penalty was duly awarded. Clearly Manset wanted so very much to take the kick, that Valentine had to employ all his powers of diplomacy, not to mention a rather daring spot of wrestling to extricate the ball from the Frenchman’s grasp. The kick was brilliantly parried by Fielding, but luckily for the Bulls went straight back to Valentine, who buried the rebound. 61 minutes gone, 2-0 to Hereford and a kiss-and-make-up between Manset and his Valentine. Naturally the comfort zone is an area little frequented by the Bulls this season, so of course Rochdale halved the deficit in the time it takes to unwrap a mint humbug. On 62 minutes, sub Joe Thompson did appear to push Valentine during a forceful run down the right wing, but nothing was given, and his pinpoint cross was headed home by Gary Jones, a just reward for an impressive player. Hereford, rather than resorting to a defensive approach, attempting to hold on to their lead, chose instead to continue to attack. Ryan Green embarked on a marauding run, which finished in the penalty area, and their seemed some merit in his claim that the foul given against him was in fact a fair shoulder charge. The defender then pulled down Dagnall just outside his own box, and the free kick took a slight deflection before being beaten out by Bartlett. The late introduction of Matty Done gave fresh impetus to the Hereford tactics. One of his corners was punched clear to Pugh, whose cross to the far post was only just too high for McCallum. Frustratingly, a Green cross was then met with a glancing McCallum header, to which newly introduced sub Leon Constantine was slow to react. Rochdale stepped up a gear, and O’Grady’s pass to Jones needed a timely block from namesake Darren. As time ran out, Fielding, clad in even brighter orange than our away kit, presumably as part of a Tango sponsorship deal, even went into the Meadow end to retrieve the ball on one occasion, but the remaining time passed without further ado. Attendance: 1975, including 341 from Spotland. HUFC: Bartlett, Valentine, Rose, Green, Jones, Pugh, McQuilkin, Lunt, McCallum, King (Done 81), Manset (Constantine 81). Rochdale: Fielding, T.Kennedy, Wiseman, McArdle, Dawson, J.Kennedy (Toner 63), Jones, Haworth (Higginbotham 57), Dagnall, Obadeji (Thompson56), O’Grady. Anyway, the ultimate embodiment of this splendid breed of football men is Graham Turner, owner, chairman and manager of League Two Hereford United. Turner, the least big-headed of characters, understandably found it difficult to wear so many hats, so a year ago to this very day he kicked himself upstairs and handed managerial duties to his friend and first-team coach John Trewick. Last month, however, with the Bulls veering perilously close to a relegation battle, Turner was forced to sack Trewick and at the age of 62 become manager again himself, since when Hereford have won five out of seven games to banish any prospect of dropping out of the Football League. To all football fans, Hereford United will for ever be synonymous with FA Cup upsets, having inflicted the biggest of them all, when still a non-league side, on top-tier Newcastle United in 1972. Routinely described as Hereford's finest hour, it is unarguably Hereford's most famous hour, but the greater achievement is surely that of Turner, who became manager of the financially stricken club in 1995, was unable to prevent relegation into the Conference, and then bought the majority shareholding in 1997 to stop the Bulls from being carted off to the abattoir. Eventually he got them back into the Football League, and two seasons ago, after some immensely astute moves in the loan market, even masterminded promotion to League One. At the same time, yet more significantly, he (along with company secretary Joan Fennessy, his co-owner) made them economically stable, a much more viable proposition for a purchaser than when he mortgaged his future. Last week, indeed, Turner and Fennessy put their viable proposition up for sale. He thinks he has one more football job in him and on Wednesday he told the Hereford Times that the chances of him still being at Edgar Street next season are "very slim". So it seems timely if not quite to propose him as a legitimate rival to Mourinho, Fergie and Co as the greatest manager in the world, at least to ask whether they could have done what, in the most challenging of circumstances, he has done. I doubt it. Loan Bull Lee Morris ended his loan at Forest Green as an 89th minute sub in their loss at Grays. David Brown scored from the spot to give them a lead, but they failed to hold on. Gary Hooper scored twice as Scunthorpe lost 4-3 at Doncaster. John Eustace was booked again for Watford as they beat Reading to keep their survival hopes alive. Andy Williams scored his first goal in 23 games as Bristol Rovers lost to Brighton. Theo Robinson scored as Huddersfield hammered Stockport. Alan Connell scored as Bournemouth secured promotion by beating Burton. Kris Taylor scored with a cross as Port Vale beat Notts County. Glen Southam scored from the spot for Histon and Nick Chadwick scored for Barrow as the two sides drew. Nicky Nicolau scored for Woking as they beat Weymouth. Below are the main stats from this afternoon's very entertaining encounter at a spring-like Edgar Street. Attendance: 1975 with 341 in the away end. Hereford United chairman Graham Turner has given some more detail about his decision to put his shares in the club on the market. "I've got to be honest I've enjoyed the last few weeks working with the players again," Turner told BBC Hereford and Worcester. 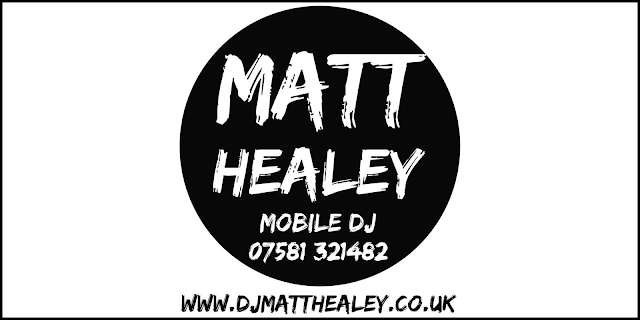 "It's been a pleasure and I've had a great response from them. "However it does give an opportunity for someone to come in and take on the mantle of chairman at the club and appoint their own staff. "I don't think I could work for another chairman. Between Joan (Fennessy) and myself we've worked hard to run the club and I don't think I could serve under another chairman here so the answer to that is no. Trevor Owens then reminded Turner that he had said he would like another big football job. "I'm not sure that big football club would be the right description. I've been out of that sort of area for a long time and I'm not daft enough to realise that I'm not going to get a big club. "Fifteen years is a long time in management is a long time. Sometimes you need new challenges in life. "Ideally I would hope that over the four weeks - If anyone wants to come in and inspect anything we've got, there's no hidden agenda, no skeletons in the cupboard, no debts that haven't been accounted for. Everything is up-front, everything is clean. "I would hope that something could be sorted out fairly quickly. But I'm not daft, it could go on a lot longer than that. "We might have to revert to a Plan B which hasn't been outlined yet But if nobody comes in and takes the shares on and wants to take on the role as chairman then we'll have to think of other ways of doing things. "Right at the moment the ideal senario would be for somebody responsible with the clubs interest at heart to come in fairly quickly and get it all settled and push the club forward." Barnet will be more uncomfortable than ever tonight after their 1-0 home loss to Rotherham saw their safety gap cut to four points after Grimsby beat Darlington 2-0. Cheltenham remain unsafe after losing 2-1 at home to Aldershot, while Lincoln confirmed their participation in League Two next term with a 1-0 win over off-form Bury. Torquay beat Macclesfield 1-0 to move up above the Silkmen. At the top Bournemouth confirmed their promotion with a 2-0 win at Burton. Notts County failed to seal the title in losing 2-1 at Port Vale, who move into the play-offs. Rotherham's win virtually books their play-off spot, but the other three places are being chased by seven teams within three points of each other. One of those is not Shrewsbury, who lost 2-0 at Northampton to virtually end any hope. Chesterfield drew 1-1 at home to Bradford to slip out of the top seven, Morecambe beat Dagenham 1-0 to keep their hopes alive. In the other game Crewe hammered Accrington 5-1. In the Conference it's goodbye Forest Green. They lost 2-1 at already relegated Grays, while Gateshead won at home to Wimbledon to stay up. Ebbsfleet are also down after their 4-3 win at Tamworth wasn't enough with Eastbourne beating Oxford 1-0. Kidderminster ended their season with a 3-3 draw at Mansfield. At the foot of League One Southend are down after only claiming a 2-2 draw at Oldham. Wycombe will be the third side relegated if they fail to win both their final matches after drawing 2-2 with Swindon today. Tranmere's 1-1 draw with Colchester means they are still two points short of safety from Exeter and Gillingham. The Bulls beat Rochdale 2-1 in today's League Two encounter at Edgar Street. After a first half with more than a hint of pre-season friendly about it, the second half woke the game up with Craig King scrambling home Gavin McCallum's slow-moving goalbound effort before the defender could clear. Ryan Valentine then became the only player of the day to wrestle the ball from Mathieu Manset to take the penalty. He was then relieved to slot home the rebound after Frank Fielding saved his initial effort. An instant reply from Gary Jones made the later minutes nervous but the Bulls not only held on but could have extended their lead. 1,975 watched the game, with 341 from Rochdale and a dozen or so counterfeit Frenchmen in the Directors Box. The win puts the Bulls 15th, closer to the play-offs than the drop zone. Only around 200 Rochdale supporters are expected to watch the game at Edgar Street tomorrow according to Graham Turner, the Hereford United manager. "The game against Rochdale has diminished a bit with the fact that they are already promoted," Turner told BBC Hereford and Worcester. "They don't look as though they can win the title. Their manager Keith Hill has almost conceded that he couldn't see Notts County doing anything but winning their last few games. "And it now transpires that they have only sold 200 tickets. "Rotherham, our final match of the season, might be different. They might have it all to play for." As regards the team for tomorrow Turner thought that Ryan Green would be fit. "Ryan Green missed last Saturday at Accrington with a hamstring. He looks likely to be fit. "Astrit Ajdarevic has gone back to Leicester. His hamstring is playing up. He had half a game in the reserves against Bristol Rovers on Tuesday. Pulled out of training yesterday so he's gone back for treatment. "I don't think we'll see him again." Hereford United chairman Graham Turner has the told the OS that he decided five or six weeks ago that he would like to sell his shareholding in the club. "I don't want to comment too deeply about it yet. "In the case of Joan Fennessy she has worked 34 years here. Perhaps it is time she wants to have a bit of leisure. "From my point of view, five or six weeks ago it started creeping into my mind that it was time to go. "There have been one or two enquiries, nothing more than that." A bucket collection will take place at tomorrow's game for Dave Taylor, who needs help to fund chemotherapy drugs. His story has been covered in the Hereford Journal for the last 2 months or so. He was diagnosed with terminal bowel cancer in 2008. Unfortunately Herefordshire Primary Care Trust (PCT) have chosen not to fund the chemotherapy drugs that he needs, leaving him to pay for his own treatment. He needs treatment every 2 weeks at a cost of just under £2,000 per session, so as you can imagine, finding money to pay for this is quite difficult. We (his family and friends) are doing all we can to raise money to pay for the drugs whilst we wait on the results of an appeal to the PCT. Part of this fundraising effort will be Saturday's collection. Dave's friends and family will be at Edgar Street on Saturday with buckets, collecting money, so any spare cash that supporters wish to pass our way would be massively appreciated. Myself (Dave's son) and his wife Judy (my mum) are season ticket hodlers at HUFC and would really appreciate any donations that Bulls and Rochdale fans might be able to spare. The Bulls have moved the departures board up to five this week with loanee Astrit Ajdarevic's departure being announced by the club this morning. The Leicester man played in the midweek win over Bristol Rovers but is now reported to be injured again. He made a single sub appearance, in the win over Barnet, but didn't appear to get into the game. His departure means the Bulls have a squad of just 20 for tomorrow's match with Rochdale. This number will be increased next week when Lee Morris returns from his time at Forest Green. Hereford United go into tomorrow's match against Rochdale with five wins in their last seven outings. Whereas Rochdale, despite gaining promotion to League One, have only taken four points from their last eight games. Therefore it seems a little surprising that a win for the Bulls can be backed at 9/4. Maybe that price is available because most of the loanees who were at Edgar Street have returned to their parent clubs. However the dry conditions should suit the Bulls' passing game. The annual spring show and sale of pedigree Hereford cattle will take place at the market just across the road from Edgar Street on Saturday so there may be a little less parking than usual around the Hereford United football ground. Parking could have been at a premium had opponents Rochdale sold all their allocation of tickets for the fixture, but as they have already clinched promotion to League One, the game doesn't hold as much importance for their supporters as it might have. Former Hereford United physio Wayne Jones is to leave Aldershot at the end of the season. He only joined them at the start of the season. Jones left Edgar Street for Yeovil and was replaced by Jamie Pitman who had been with Forest Green. It is not yet known if Jones is moving to another club. Meanwhile Bradley Hudson-Odoi has spoken out about his lack of games at Histon. The former Hereford United striker has not featured for their last 12 games. "I got offered a contract and I wasn't happy with it," he told Cambridge News Online. "It got sprung on me and I wanted more time to think about it, but the manager made a decision to leave me out straight away. "I just didn't feel it was the right offer on the table for me. I gave them the offer to renegotiate, but they didn't come back to me." Turner to look at Players Contracts. Graham Turner has told BBC Hereford and Worcester that as he's not planning to appoint another manager until the end of the season, he will be soon offering deals to some of the current squad. He feels the supporters will probably agree with his views when the list is published. "If we put a list on the table of who deserves an offer of a new contract I think there would be a concensus that would probably finish up with the same list," said Turner. "I've been in the game a long time. "Irrespective of whether a new manager is in or not, I would use my better judgement to formulate a list that I think are worthy of new contracts." The Bulls defeated Doncaster Rovers in a 3-1 drubbing at Edgar Street to move to the heady position of 11th in League 2 (then Division 4) with just four games to play. Doncaster were sat at 18th with just goal difference keeping them above the Monkey Hangers. Colchester were rock bottom and bound for relegation to Non-League with Darlington clear of the drop zone by four points. Burnley, for the time being, a now premiership outfit occupied The Bull’s traditional 17th spot. Interestingly, League 2 also contained Scarborough, Wrexham, Cambridge United, Exeter, Yark, Grimsby, Carlisle, Torquay and Halifax, all of whom have or are about to spend time outside of the great 92. 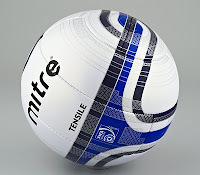 The Football League has unveiled the new ball for next season - the Mitre Tensile. The Tensile is a revolution in football design and technology, comprised of just 10 panels and has over 30% less stitching. This optimises power and efficiency, improving airflow and reducing drag on the ball. This increases the average speed of a shot, making it a strikers dream. The ball is the first of its kind and will be used in all Football League matches from the beginning of the 2010/11 season. Rochdale have returned their ticket allocation for D Block after securing promotion at the weekend. The move means that D Block season ticket holders can keep their usual seats, but the club's official site notes that the offer to move that was made to them still stands if they wish. Rochdale themselves are opening late tonight to sell their remaining tickets for Saturday's game, warning their travelling fans not to go without a ticket. Paul Sturrock has left Plymouth to seek out a new managerial appointment. He has been seen in the stands at Shrewsbury in recent weeks. Grimsby's supporters trust has warned fans to act with grace and dignity if they are relegated at the weekend after 200 fans invaded the Blundell Park pitch to protest against the board last weekend. They will be relegated if they lose at Darlington at the weekend. Morecambe have signed ex-Bull Craig Stanley to a new one year deal with the club. He has already spent four years with the club since leaving Edgar Street. The FA have delayed their decision on the Conf North points claims made in the wake of Farsley's demise until Friday at the earliest. Northampton have offered striker Adebayo Akinfenwa a new improved contract. He is out of contract in the summer after 16 goals so far this term. Burton groundsman Simon Marshall has been named League Two's Groundsman of the Year. He was runner up in the Conference last season. Crewe are to send keeper Steve Phillips for his delayed shoulder operation after they secured their League status in the past week. He is expected to sign a permanent deal with the club in the summer. Ryman League side Carshalton are claimed to have signed former Brentford striker Charlie Ide from Hayes for the final two weeks of their season for £1,000 a game in a bid to save themselves from relegation. Charlton boss Phil Parkinson will wait until Stuart Fleetwood returns to the club at the end of the season before discussing his future. Fleetwood still has a year left on his Valley deal but his only first team appearance was eight minutes in a League Cup tie at Edgar Street. Wycombe owner Steve Hayes has denied that his other sporting interest, Wasps rugby club, was about to be the subject of a winding up order for £1million in unpaid tax. Rather than denying the sum, Hayes told the press that a payment schedule was in place. The two sides share Adams Park, with plans to build a larger ground in the Wycombe area. The Bulls entertain Rochdale in their penultimate home match in League Two on Saturday. The two sides have been regular combatants in the basement, with the only breaks in service coming from the Bulls travels up and down. The Bulls edge the tie overall with 15 wins to 11, with 19 draws. Since the last match at Edgar Street, a 1-1 draw in August 2007, the two sides have met at Spotland twice. The February 2008 meeting saw the Bulls win 4-2, but this season's clash in September saw Rochdale win 4-1 in a match that saw two late goals conceded and Ryan Green's dismissal. The Bulls have already shed a lot of the 'winter fat' in the past week ready for another slimline summer. Four loan players have departed leaving a cut down playing staff of 21 for the final three games. Of those remaining it comes as a comfort that Graham Turner will open contract talks with the 'common sense' picks to keep at the club. Striker Gavin McCallum expressed a desire in the week to join Marc Pugh on double figures in the scoring charts. His record of eight goals in 17 League starts and seven sub appearances does suggest good things to come if he remains. Rochdale have somewhat limped over the line after appearing unbeatable at times. Their recent record of four points from eighteen isn't the form of the deserved promotion contenders that they have been - and that run includes losing to Darlington and being thumped by Torquay - and appears to have cost them a deserved championship. They've won promotion on the back of balancing the books and having a tight squad. The sale of Adam Le Fondre early on looked like a hammer blow and the further sale of Will Buckley, in January only seemed to spur them on further. Securing Chris O'Grady on a permanent deal earned them a 21 goal striker, with Chris Dagnall slotting home 20. If Keith Hill doesn't get Manager of the Year, there's something wrong. Hereford United vs Rochdale, Edgar Street, Saturday 24th April, 3.00pm. This morning's Hereford Times carries a few quotes from Hereford United manager Graham Turner about his proposed sale of his shareholding in the club and how planning for next season is on-going. "I have had several phonecalls about the shares and there are a couple of realistic options among them," said Turner. "But it is early days and I do not expect a massive amount of instant activity." Asked about his future Turner replied: "I think the chances that I will be here next season are very slim." For the present life will go on at Edgar Street as usual. "It will be a difficult interim period but I have told people who have applied for the job (as manager) what the position is. "I shall be looking at individual player's contracts. I think if you asked the majority of supporters who they wanted to keep then I don't suppose that would be far off. It's a matter of common sense." Meanwhile Keith Dodd, the chairman of HUISA, has also commented on the situation. "If Turner genuinely wants to retire then we have to respect that, but I hope he reconsiders. "I think many supporters would say the same." The Hereford Times says it is aware of three interested parties - each of which, it suggests, wanted more time to think over their interest before going public. When Saturday Comes, the 'half decent football magazine', has a feature entitles match of the month and in the latest issue which has just gone on sale it's about a game involving the Bulls. Match of the month - A final season at Chesterfield’s 19th-century ground, where Hereford are the visitors. The game took place on March 27th and the Bulls won the game 2-1. Chairman Graham Turner is expected to give more details about his decision to try and sell his shareholding in Hereford United during his usual end of the week interviews with the media. And on Saturday he told BBC Hereford and Worcester that "I'll talk a little bit more next week." Since then there has been various speculation about the reasons why Turner has chosen this particular time to offer his shares and about how much he might want for them. One source close to the club has suggested that Turner's statement was more a plea for someone with deep pockets to put some money into the club as Turner felt that without fresh investment it was likely that the club would not be able to afford to redevelopment of the Meadow End without going deep into debt. The source added that should someone come forward he felt Turner might then stay on as chairman. Another view suggested that Turner's decision had been partly influenced by the pending retirement of secretary and vice-chairperson Joan Fennessy. Together they have run the club for the past twelve years. What appears to be generally agreed is that the club needs more support from the local business community. And that may only come if someone well known in Hereford and the surrounding areas is involved in a bid to purchase the shares. It has to be hoped that this uncertainty about who might be in charge at Edgar Street can be sorted out as soon as possible. The possibility of drawn out discussions about a sale of Turner's shares can only disrupt the day to day running of the football club and perhaps have an effect on next season. After all any one purchasing Turner's shares would probably like the chance of, at least, having some influence on selecting a new manager for the club. And with Turner adamant that he will not be the manager after the end of the season, that particular appointment needs to be made sooner than later whoever is in charge. FC Halifax Town have begun their march back up the league pyramid by clinching the Unibond Division One North Title with a 2-2 draw with Clitheroe in front of 1,932 at The Shay. It is their second season in existence since the original club folded, finishing 8th last term. Farnboro are another side on the way up after they won the Southern League. They had to reform in 2007 after going bust in the Conference. Bradford are to base their training facilities in Leeds next season after securing a new training ground at Leeds University. Huddersfield have released former Morecambe loanee Ian Craney after agreeing a termination deal on the final year of his contract. The former Accrington midfielder went on big money deals to Swansea and the Terriers, but ended both prematurely. Tristan Plummer and Stuart Fleetwood scored for their respective sides as Bristol City's reserves beat Exeter's second string 6-3. Cheltenham have had loan defender Danny Andrew recalled by Peterboro so new boss Gary Johnson can assess him before the club's planned summer clearout. Stockport's preferred bidders, the 2015 consortium, has begun due dilligence on the purchase. They hope to submit documents to the Football League by the end of the month. David Webb from County Durham is set to referee next Saturday's League Two fixture between Hereford United and newly-promoted Rochdale. It will be the first time Webb has been in charge of a game at Edgar Street and only the second time the Bulls have met the young referee. The first time was at Huddersfield in December 2008. On that day the Bulls lost 2-0 and Webb booked Kris Taylor. Lionel Ainsworth was the star player and the game was watched by over 13,000 spectators. To date this season Webb officiated 28 games in which he has dealt out 88 yellow and 3 red cards. Notts County beat Rochdale 1-0 to move four points clear at the top of League Two in front of over 10,000 at Meadow Lane. In the other League Two game, Cheltenham drew 3-3 with Darlington after being 3-0 down. The result means that Cheltenham are nine points clear of Grimsby with three games left. In League One Tranmere, with Peter Gulacsi in goal, lost their game in hand 2-1 at Brentford to stay two points inside the drop zone. In the Conference champions Stevenage beat Gateshead 1-0 to leave Andy Ferrell's side needing at least a draw, and probably more, in their final match to avoid the drop. That result means Forest Green need only a point against Grays on Saturday to stay up. Kidderminster lost 2-1 at home to Barrow in front of little more than 1,000 fans. Loanee Astrit Ajdarevic helped the Bulls beat Bristol Rovers 2-1 in a reserve match. The Pirates scored first from a corner taken by former Bulls trialist Ryan Burge, but Ajdarevic scored from the spot shortly after with a deflected effort late on securing the win. The official Bulls site credits the second goal to an unnamed trialist but the Pirates site named Aidan Thomas, a striker for the youth team, as the scorer. Eight of the Bulls senior squad are to face Bristol Rovers this afternoon. The official site names Matt Done, Keith Lowe, Edrissa Sonko, and Craig King alongside the quartet of youth team graduates currently in the pro ranks - Sam Gwynne, Craig Jones, Tyler Weir, and Joel Edwards. The rest of the side are youth teamers and trialists. While the Bulls are being vague about their line-up, the Pirates have named theirs in full. Amongst their line up are a clutch of trialists including former Bulls trialist Ryan Burge. The former Birmingham youth player had a brief stint with Barnet at the end of 2009, and is joined by young trialists from Swansea, Cardiff, Wolves, and Charlton. Crewe boss Dario Gradi is to put assistant Steve Davis in charge for the final three games so that the veteran boss can go scouting for players. He is claimed to be interested in Cheltenham defender Michael Townsend, who is out of contract at Whaddon Road. Morecambe have sent loan midfielder Ian Craney back to parent club Huddersfield as he will not play again this season due to injury. He has managed just 16 games all season for the Shrimps. Southend have announced price cuts of 20% on ticket prices next season with their impending relegation to League Two. It will cost £18 on the day to get into Roots Hall. Lincoln defender Paul Green will miss the remainder of the season after breaking a bone in his foot at the weekend. Bournemouth chairman Eddie Mitchell is to miss their potential promotion clincher at the weekend as he is 'stuck' in Dubai. Kidderminster boss Steve Burr is concerned he will lose ex-Bulls loanee Brian Smikle to a League side in the summer. The former West Brom trainee is out of contract in the summer and was named their Player of the Year at the weekend. Former Bull Gavin Mahon will be invited back for pre-season training at QPR in a bid to earn a new contract. The 33 year old has made just nine appearances this season due to injury and is out of contract in the summer. Scunthorpe have admitted that they may sell Gary Hooper in the summer if the right offer comes in. He has scored 16 times in 32 games in the Championship this term after hitting 24 in League One last season. Several larger Championship sides are said to be interested. Hereford United will meet a team from Bristol Rovers in a behind closed doors friendly at Edgar Street tomorrow (Tuesday). Exactly who will be in the Hereford team isn't yet known but several of the players who haven't featured recently for the Bulls, such as youngster Tyler Weir, are expected to play. For Bristol Rovers manager Paul Trallope will bring a reserve side to the game. "We have got a reserve team friendly up at Hereford tomorrow afternoon, it is a chance for some of the younger players, the scholars to get some action," said Trollope. "We are having a look at one or two trialists from clubs from a higher division, and there are a few in training today, and they will feature tomorrow. "That will be interesting for us and we can start to gauge one or two possibilities." Meanwhile former loanee at Edgar Street Lewis Young captained Watford's reserves this evening against Southend reserves and led the Hornets to a 5-2 victory. Finally James Walker's goal for the Bulls in the Paint Trophy game against Aldershot last October is one of eight in a list for the 'Ultimate Finish of the Season' award. Walker is now with Gillingham and their supporters have been reminded of the goal by Johnstone's Paint Trophy sponsorship manager Teresa Hardwick. "We can assure them it was a belter, and we hope they can log onto our website and take a look for themselves!" There are two League Two games on Tuesday, with Cheltenham hoping to secure their League status. The Robins face Darlington needing a win to guarantee League Two football next season. In the other game Notts County face Rochdale in the fight to be called League Two champions of 2009/10. In League One Tranmere will hope to escape the bottom four with a win over mid-table Brentford, and drop Exeter into the mire, while Oldham face Southampton still needs a result to avoid the outside chance of relegation. In the Conference the top spot and four play-off contenders are all decided, but there are still two relegation places to escape. Gateshead will look to get out of the bottom three with a home match against champions Stevenage. If the northern side can get three points then Ebbsfleet will be relegated. Exeter's official site reports that Adam Stansfield's operation to remove part of his colon has been succesful. Grecians director Julian Tagg told them: "The operation was a success. Stanno was up when we visited this afternoon and looking happy but tired. He was even cracking a few jokes! "He is extremely grateful to all the well-wishers over the last few weeks. He is also very thankful that he is now being allowed to rest and recuperate so he can return to action as soon as possible." Hereford United's Gavin McCallum has been chosen to be in the League Two Team of the Week. McCallum scored both goals in the Bulls' 2-1 victory at Accrington Stanley last Saturday. Ex-Bull Gary Hooper was named in the Championship side for his hat-trick against Bristol City. Notts County owner Ray Trew has reacted angrily to words from some League Two sides at the weekend that the club had, effectively, cheated their way to promotion. Rochdale boss Keith Hill, ahead of the two sides' meeting on Tuesday, spoke on 5live saying "If we don't catch Notts County, the taxman will". Trew says, thanks to investment and their attendances, they are spending only 54.9% of turnover on wages and invites officials from other clubs to examine their books. Southend chairman Ron Martin says they are now up to date with player wages, and that the taxman has now been paid. He also says their £100million ground redevelopment is on track, and due to open in 2011. Martin has also backed manager Steve Tilson, despite his side recording just one win in 19 games since the turn of the year. They will be relegated to League Two if they fail to beat Oldham on Saturday. Brentford want to sign Toumani Diagouraga on a permanent basis. He is a regular feature for Andy Scott's side and is expected to be surplus at Peterboro, with Gary Johnson needing to cut down his 40 strong playing staff at London Road. Lionel Ainsworth isn't have such a good time at Griffin Park. He has managed just seven sub appearances since arriving in January. Rotherham have sold out their allocation of 600 tickets for their trip to Edgar Street. The May 8th match is likely to see the Millers confirm a play-off spot. They have now asked the Bulls for additional tickets and, like the Rochdale game this Saturday, there is a good chance that they will be handed more. Rochdale have been handed D block of the Merton Stand for Saturday's game in addition to the usual away allocation in the Cargill Stand. Four of the Bulls loanees have returned to their parent clubs, Hereford United have announced. Daniel Preston, Jake Jervis, and Lewis Young have all seen their loans expire, while Paul Downing has been recalled by West Brom. Preston played four times for the Bulls, but had spent the past month warming the bench, while fellow Birmingham loanee Jervis made five starts and two sub appearances, scoring twice. Young returns to Watford after five starts and one sub appearance while Downing, who has been rarely even named as an unused sub since being sent off at Notts County at the end of February, made six appearances. Meanwhile Lee Morris has extended his loan at Forest Green until the end of their season on Saturday. He has scored twice in one start and seven sub appearances as they fight against relegation. He will be available for the Bulls final two games of the season with the Conference season ending earlier than the Football League. Former Bulls loanee Peter Gulacsi played his first League game since ending last season at Edgar Street in Tranmere's 3-1 win over Exeter. He was signed up as emergency cover from Liverpool late on Friday after injuries left the club with no senior keepers. Since leaving Edgar Street his only senior appearances have been for Hungary's u20 and u21 sides, finishing third in the u20 World Cup last October. Crewe are claimed to be chasing Accrington striker Billy Kee, who is at the club on loan from Leicester, and Cheltenham keeper Scott Brown. Chester fans group CFU hope to secure a lease on the Deva Stadium shortly. The council deadline for bids closes on Monday with only CFU having a firm offer on the table. The group now has 1,500 members. Accrington are in negotiations to buy a second hand stand from either Morecambe or Blackpool. The plan is second choice to building a new stand, but funding from the 'Local Enterprise Growth Initiative' is being hampered by the club's recent financial problems. They have history with used stands, buying one from Aldershot in 1958 that eventually led to their demise in 1962. Wrexham have sacked the two workers who were exposed as charity scammers after protests from fans. Their past came to light in February, and the club initially defended the pair, but a boycott by some supporters has forced the club's hand. Kettering owner Imran Ladak has paid his FA fine and can now resume duties at the club, but remains unlikely to restore his financial backing.